miniOrange provides secure access to your applications with only one set of credentials using a simple tool known as the PHP SAML 2.0 Connector. miniOrange PHP SAML 2.0 Connector acts as a SAML Service Provider which can be configured to establish the trust between the connector and a SAML capable Identity Provider to securely authenticate the users into your application. The connector uses the SAML protocol for exchanging authentication and authorization data with the Identity Provider. Download miniOrange PHP SAML 2.0 Connector from here. Setup the connector on the same domain where you have PHP application running. Register into SSO connector by providing a valid email address and password. In Plugin Settings, use your Identity Provider details to configure the plugin. You can configure the SP base url or leave this option as it is. Click on the Submit button to save your settings. 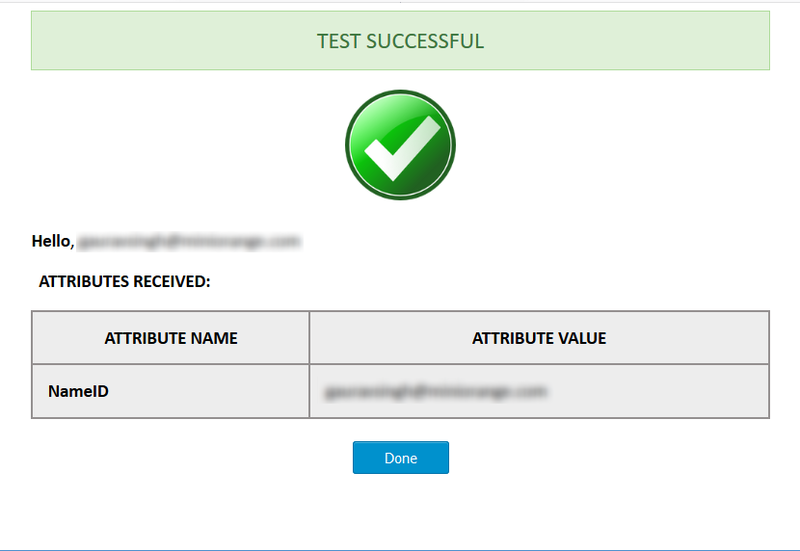 Once the SSO test was successful, you can provide an Application URL, to where the users will be redirected after logging in. To do so, click on the How to Setup? menu in SSO connector. Look for an option called Application URL and provide the url of your application(where you want the users to redirect after logging in). NOTE: The domain of the application URL and the domain where you have setup the miniOrange PHP SAML 2.0 Connector should be same. On this Application Endpoint you need to read Session attributes set by SSO connector and use that to login user into your application. // Use $email and $username variables to find user in your PHP application and start session for the user. These Variables contain the mapped attribute values. After receiving these values using the above code, you can use the $email and $username variables in your application. Now that the plugin is configured, you're ready to use it in your application. You can configure the miniOrange PHP SAML 2.0 Connector with any Identity Provider such as ADFS, Azure AD, Bitium, Centrify, G Suite, JBoss Keycloak, Okta, OneLogin, Salesforce, AWS Cognito or even with your own custom identity provider. The miniOrange PHP SAML 2.0 Connector is supported by various PHP Frameworks such as Laravel, CodeIgniter, CakePHP, Symfony, Zend Framework, Phalcon, Yii Framework, Aura, Fat-Free, PHP-MVC, Kohana, FuelPHP, Slim, Flight, Zikula, PHPixie, Li3, Nett, Medoo, POP PHP, PHP Mini, Silex, Agavi, Typo 3 Flow, Prado, Cappuccino, Limonade, Webasyst, Guzzle PHP, YAF, Akelos PHP Framework, Qcodo, evoCore, Stratus, Seagull, Maintainable, Limb, Phocoa, AjaxAC, Zoop, BlueShoes, Recess, PHPDevShell, Ice Framework, QueryPHP, Dash PHP Framework, Zest Framework, Roducks, and many more. If you don't find what you are looking for, please contact us at info@miniorange.com or call us at +1 978 658 9387 to find an answer to your question about PHP SAML Connector.